Since it is STILL cold and snowy and HAS BEEN for it seems like forever…. (sorry, in Denver we are usually spoiled by snow falling, sometimes a lot of it, and then melting, and a few days of 60° before we have snow again. Not so since oh, January?) So I thought I would put up some flower pictures. These are from the summer of 2008. Early July, I believe, because later that summer we got hammered with hail. 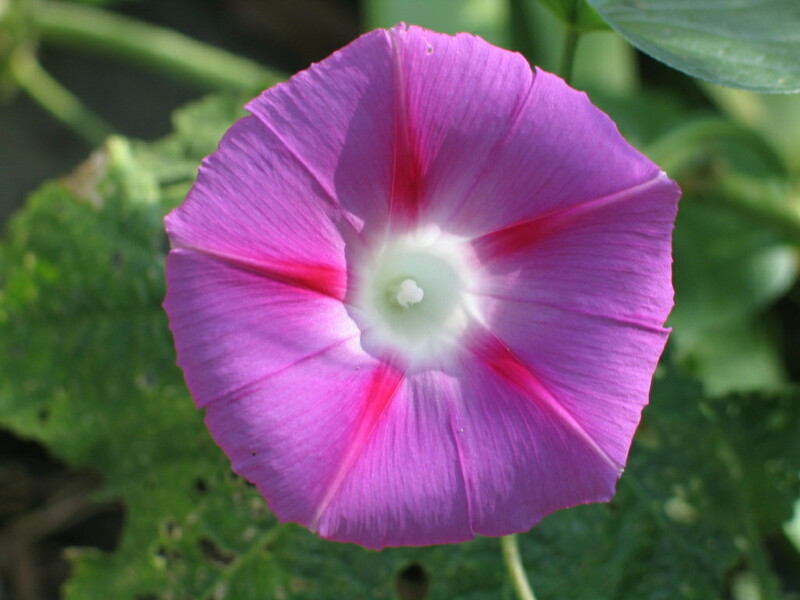 Pink morning-glory. The birds like these, so they are scattered around the yard quite widely and volunteer the next year. 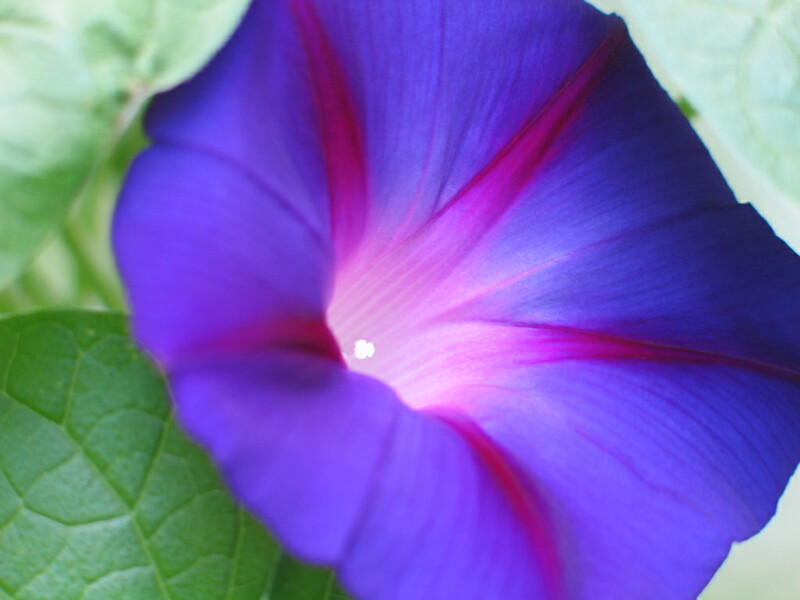 Purple morning glory. I am pretending it is 75 degrees and sunny…. 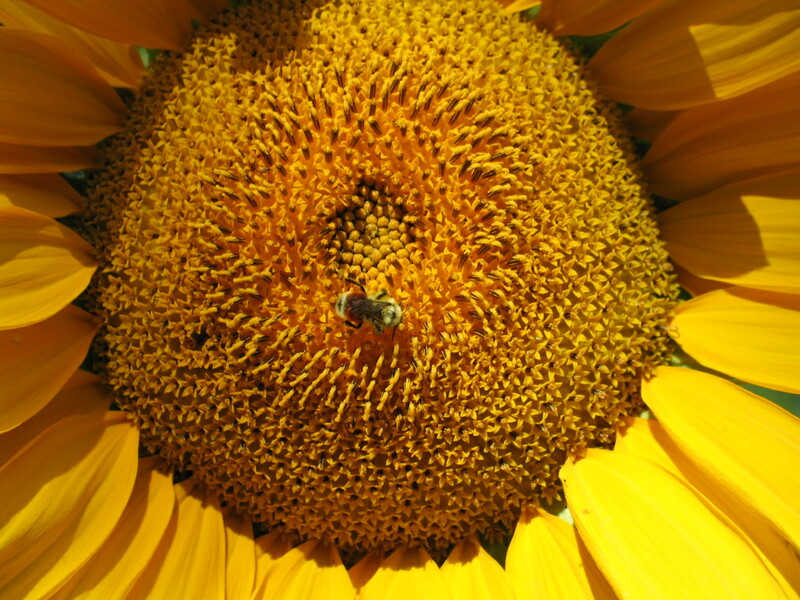 Mr. Bee, busy in a sunflower. Pink hollyhock. Hollyhocks are another one of my favorites. This entry was posted in Flowers, Garden by glenderella. Bookmark the permalink. Someday we will see these again, live. I’m afraid, though, that because we here have had such a mild winter that March is going to hit us hard and we are going to have a short spring. I hear you on starting out with enthusiasm. I do that every year. This spring, though, once the new landscaping goes in (all Perinnials!!) and sprinkler system, maybe I will have a decent looking back yard at the end of the summer. 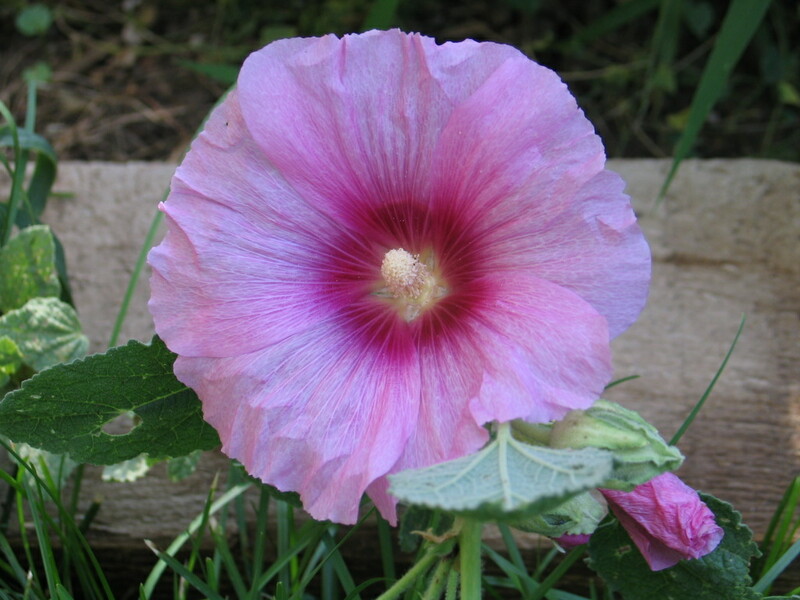 Did you make hollyhock ladies when you were a child? We always did – especially since I’m one of four sisters. Guess I need to plant some so I can teach our grandchildren to make them. I’m sure the boys will really enjoy that (she said sarcastically).